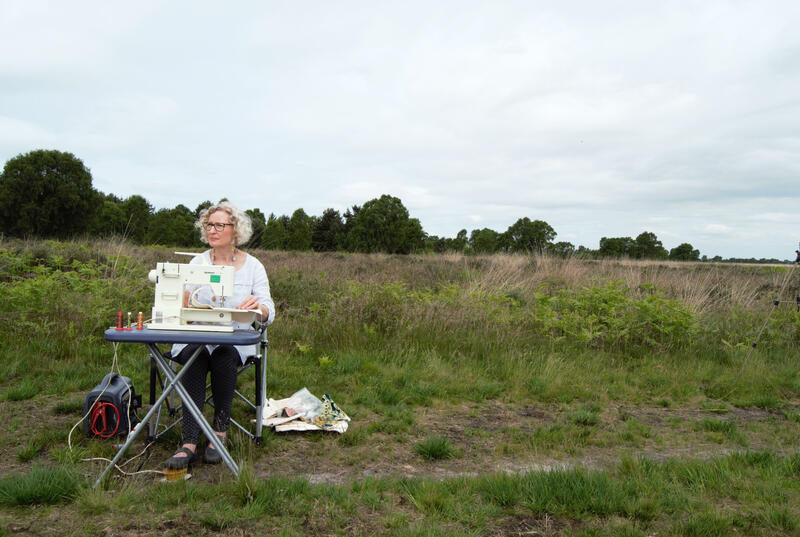 I took my sewing machine, battery pack and fabric stash onto the popular countryside destination of Cannock Chase in Staffordshire earlier this summer. Sewing outside and on location was so much fun. In this video, you can see me stitching away to create an initial piece of inspiration. At the end of the video are a selection of pieces all inspired by Cannock Chase and our wonderful British wildlife.